Is my child old enough to play video games? How can I be sure that my child is safe while they are playing? Can I keep them from viewing content they’re not ready for? Isn’t this just going to become a massive time waster? Rot my child’s brain? I just don’t “get” gaming, can someone please explain it to me? When did gaming get so complicated?! It was so much simpler when I was a kid! If you’re a parent, aunt, uncle, grandparent, or someone who has children in their life, these questions can be frustrating and overwhelming. Fortunately, you have resources! The gaming community is as diverse as it is vast, and while you shouldn’t put on rose-colored glasses and ignore the pitfalls and darker corners of this hobby, it is totally possible to have enriching, educational, and socially rewarding experiences – in fact, most gamers do! You can even experience this with your child, and turn gaming into a family affair. If you have a Windows 10 PC, you already have a gaming machine. But not all PCs are made alike. Your family laptop that you use to pay the bills and check email may not cut it, or perhaps your child has a device, but you’d prefer it to be dedicated to schoolwork. That’s totally fine! There are many great desktop and laptop options that are built specifically for gaming, however, many games don’t require a fancy setup. Be sure to check the system requirements for a game and make sure that your PC meets or exceeds them before you purchase. You can also consider a console, like Xbox One S or the Xbox One X. Your local Microsoft Store is a great place to start if you are unsure of which option is best for your family. If you have concerns about age-appropriateness of games or the amount of time spent playing, family settings and parental controls are a great way to grant your child a certain amount of independence, and free yourself from having to always be present for gaming session. Whether you’re gaming on Windows or Xbox, family settings can be easily configured at account.microsoft.com/family. Break the rules! Hey, sometimes your child will need more screen time to get that assignment done, or want to spend more time learning on that cool coding website, or maybe you want to reward them with that game they’ve been begging you to buy for months. You can respond to requests for exceptions like these via email, at account.microsoft.com/family, or on the spot if you are using the same device! 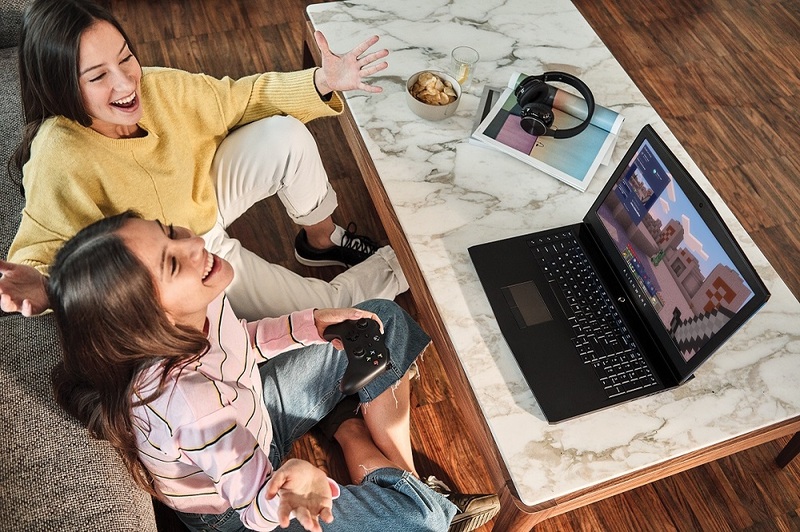 For the optional experience with family settings, you will need to make sure that you and your child each have your own Microsoft Account (MSA). This is very important, unless you plan to adhere to all of the same rules and restrictions as your children. You can find more information at support.microsoft.com. Some family settings including activity reporting, screen time, spending and content restriction are configurable online, and some have to be set on the devices. To learn more about setting up and managing your family account online, please refer Set restrictions for your child on Windows 10 and Xbox One and What is Microsoft family? Now that you have everything you need to get started and keep the chaos to a minimum, treat yourself to some fun as well. Check out Minecraft, Forza Motorsport 7, or the ID@Xbox collection – which includes a wealth of family friendly independent games, off the beaten track of what we typically think of as “kid-friendly” games. 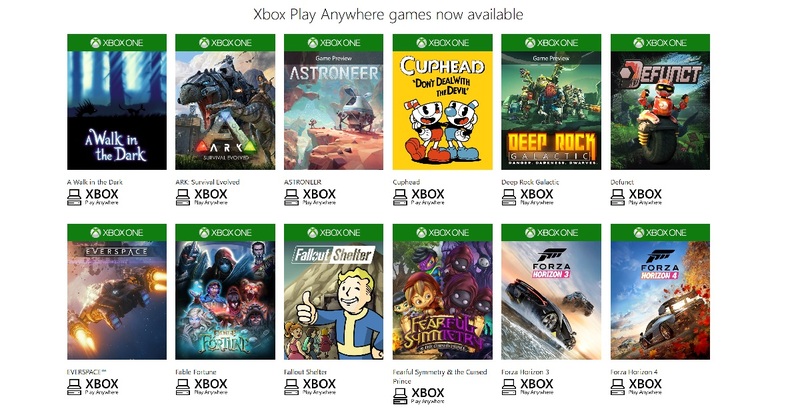 Many games in the Microsoft Store are available as Xbox Play Anywhere titles, which means they can be played on Windows 10 or Xbox. So, no matter which platform or games you choose, don’t be afraid to pick up a controller and get in on the fun yourself. Many parents find playing with their family to be a great way to better understand and encourage all of the ways that gaming can help their children grow and develop. Additionally, it’s a great way to have informed conversations about the decisions we make in fantasy worlds and why or why not we would do things differently in the real world – hello, teachable moment! Using Copilot controller settings can be helpful if you’re not so confident in your button mashing. If you’re a pro, it’s a great way to help younger kids build confidence in their gaming abilities while you help them along. Now that you have the basics down, you can have a little more peace of mind when your child ventures into the vast and ever-changing world of technology. If you need a little more guidance, visit support.microsoft.com. We look forward to hearing how you use parental controls and family settings to empower your child to achieve more!